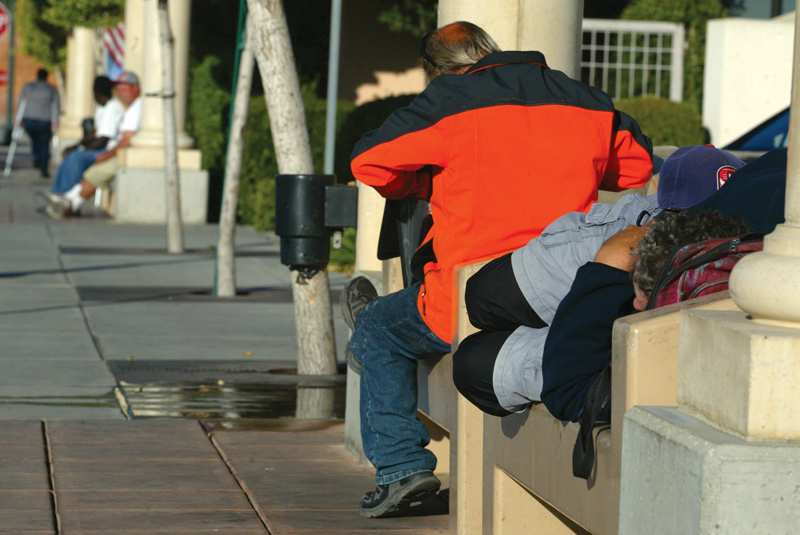 TULARE COUNTY – Homelessness faces a lot of different fronts. Some of the homeless cannot afford a home, some are struggling with addiction and other simply choose to participate in the lifestyle. But when it comes to the public, there is a need to make sure the homeless are well taken care of. It is not unprecedented for outbreaks of illness to occur among homeless communities, and potentially affect those who work or live nearby. The Tulare County grand jury, focusing on agency efforts, issued their findings and conclusion on homelessness services in Tulare County last month. Overall they concluded, “The health and sanitation of the homeless could benefit from improved communication, cooperation, and coordination within the various support agencies. Just two weeks ago, Tulare County Health and Human Services Agency responded by appointing Charles Felix as the homeless initiatives program coordinator. Tulare County, like numerous jurisdictions has identified the need for a point person to improve coordination of homeless services. The main role of the Homeless Initiatives Program Coordinator is to identify funding opportunities, facilitate internal coordination between HHSA programs and improve coordination with other County departments, cities, homeless-service providers, and faith-based organizations to improve Tulare County’s system of safety net services for the homeless population. Prior to coming to HHSA, Felix worked on homeless initiatives within the Los Angeles County Department of Public Health, including evaluating the effectiveness of legal measures to control tuberculosis in homeless shelters throughout Los Angeles County, and utilizing geographic information system technology to contextualize skid row and the experience of the homeless and other vulnerable populations. Felix brings a tremendous skill set to the position, as well as a deep commitment to public service. He holds a bachelor’s degree in psychology from the University of California, Irvine, a Juris Doctor from the University of Southern California Gould School of Law, and a Master of Public Health in Health Policy & Management from Yale University. As the Homeless Initiatives Program Coordinator, Felix’s compensation will be $93,454.00 annually. Felix’s hiring, while already in the works at the time the grand jury’s report, does satisfy one of their recommendations to help lift people out of homelessness. In all they recommended various agencies helping homeless in the county increase their direct outreach, reduce barriers for homeless obtaining housing, find possibly funding sources for portable shower services and investigate transportation accessibility to services and resources.